Jonathan is a NASM (National Academy of Sports Medicine) Certified Personal Trainer. He specializes in high intensity diverse aesthetic training with a primary focus on individuals health and achieving the outcome of their desired goals. In high school, he was a three sport athlete who played football, basketball, and also ran on the track team. Jonathan then went on to earn a full athletic scholarship to play football at Louisiana Tech University. 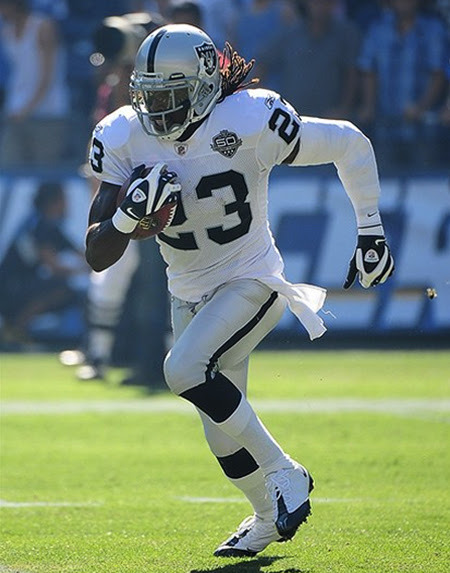 His success on the field earned him a spot in the 2007 NFL Draft in which he went on to be drafted by the Oakland Raiders. He played on both offense and defense as a wide receiver and corner back and was also the kick returner for the Oakland Raiders. Throughout his athletic career Jonathan grew a true passion for health and fitness. After retiring, he put his focus on coaching and training individuals who were looking to better their overall health and wellness. His motto is "Anything is possible; just have faith, work hard, and also believe in yourself". Jonathan will be conducting sports performance & conditioning clinics in the WF Athletic Supply booth at the upcoming Texas High School Coaches Association Convention. Clinics are open to athletes of all sports and genders and will be held July 23-24.